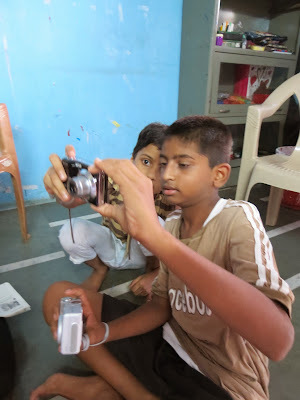 You may remember that in my post about 'Bandra Scences Photographed by a Dharavi Kid' - I made a request for people to send in their old cameras so that the Reality Gives Dharavi photography club could increase their supply of equipment to children wanting to learn the art. Well, I had a lovely response - especially through my father-in-law and a lady called Nathalie Quantrill back home in the UK. 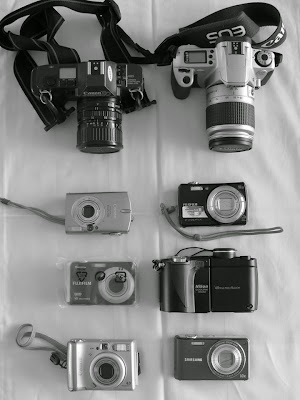 Between them, they gathered up nine used cameras which Mr Jules was able to squeeze into his suitcase on the way back from his last business trip to the UK. 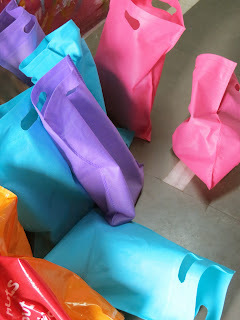 Last week, I put them into brightly coloured gift bags and took them along to one of the daily art classes in Dharavi - so that the students could get their first look at the fruits of our efforts. 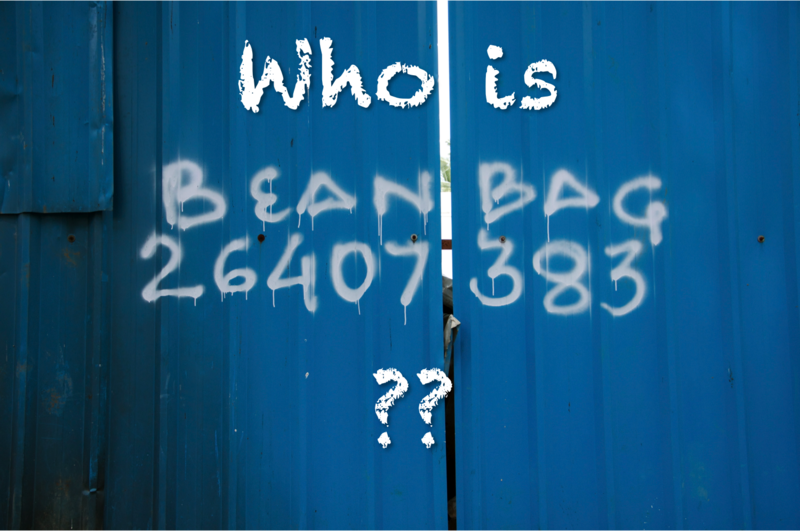 Unfortunately, the monsoon rains chose to strike at that moment, so there were only a few students there - but fortunately one of those students was Suraj, the immensely talented teenager that took all the photos in the original blog, and who prompted the donation of cameras. I was delighted by this, as I wanted to make sure that he got a particularly fancy Sony camera donated by my father-in-law which would enable him to take his talent to the next level, and ensure that he would have his own camera on hand at all times. Suraj took this amazing photograph on my Canon Powershot on the Bandra tour. It impressed a lot of people! The children were so happy to receive these cameras, there were delighted looks all round - from the youngest to the oldest - and they couldn't wait to try everything out. It will make so much difference to their progress, to have access to more equipment. Here are the pictures from my visit - thanks to Nathalie, my father-in-law and all those who donated through Nathalie - as well as Adina at Reality Gives who arranged my visit to the club. I will be going back after the rains to check progress at the photography club and post more photos of the cameras being used. Thanks again all! 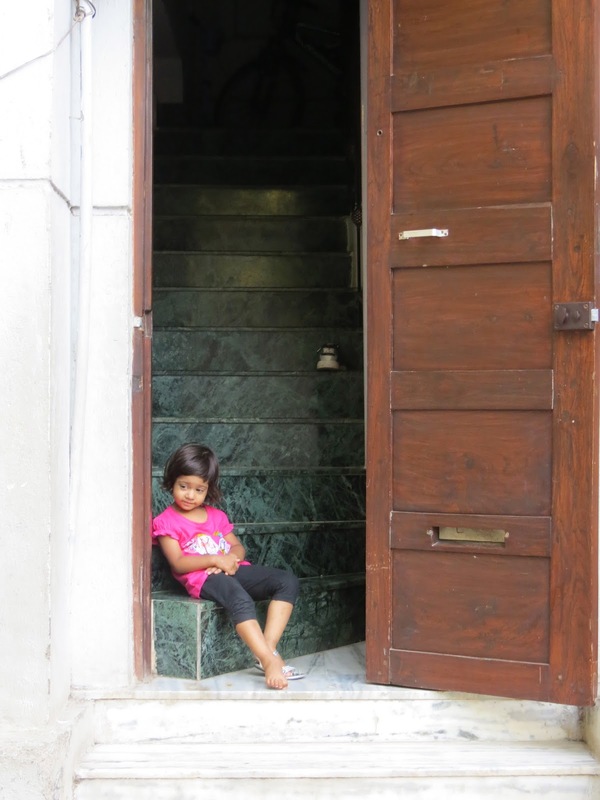 This child may only be 3 or 4 years old, but she knew how to operate this point-and-shoot! Another picture of this child who amazed me with her ability! After playing with the more complicated cameras for a while, they decide it's a good idea to read the manual! Some art painted on to the wall - by kids from the art club. Great work and really nice pics of the kids taking pics!! !